Fantastic Home on 5 Acres! Great home in the villages! 3-story executive home on bluff overlooking Six Mile Creek and Halstead Bay--5 acres of pristine beauty next to Carver Park, 10 minutes from downtown Excelsior! Awesome two story home in the country! Nice lower level duplex--utilities included! INCREDIBLE PRICE! EXCEPTIONALLY CLEAN! GREAT LOCATION! This home has been redone from top to bottom! Loaded executive rental on 7 acres! BEAUTIFUL WOODBURY CUSTOM HOME IN DANCING WATERS! LAWN & LANDSCAPING SERVICE INCLUDED! IDEAL WOODBURY END UNIT TOWN HOME! PERFECT LOCATION! WALK TO WOODBURY LAKES!! SPACIOUS HIGHLAND PARK ROW HOUSE! UNDERGROUNG PARKING FOR TWO CARS! 200 feet of lakeshore on Enchanted Point! Gorgeous Kerber built executive rental in Chaska! Beautiful two story home on a quiet street. 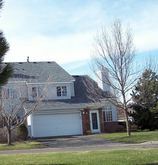 TWO STORY, VAULTED MASTER SUITE W/ WHIRLPOOL, KITCHEN W/ CENTER ISLAND, MAIN FLOOR LAUNDRY, 2 CAR GAR. LARGE LOT! Great home on a very spacious lot! Free rent till January 15th!! Newly remodeled townhome right off Lake Waconia! Stunning two story--tons of extras! Room to roam on Lake Susan--great location! Duplex in a great location! IDEAL NORTH MAPLEWOOD TOWN HOME! GREAT LOCATION! Great duplex in a great location! GRAND LIGHT-FILLED HOME IN SOUTH MAPLEWOOD! NICE HOME IN A GREAT COTTAGE GROVE LOCATION! Great 4bdrm with fantastic backyard! Wonderful home! GREAT 3 BR 2.5 BATH WOODBURY TOWN HOME! EAST RIDGE HIGH SCHOOL! GREAT 4 BR WOODBURY FAMILY HOME! 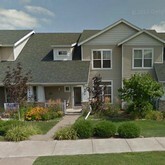 ONE LEVEL END UNIT EAGAN CONDO! GREAT LOCATION! GREAT VALUE! PERFECT TOWNHOUSE IN BAILEY'S ARBOR! PERFECT 4 BR ROSEMOUNT FAMILY HOME! Beautiful 3bd/4ba 2 Car Gar Home with Private Pool! LIGHT-FILLED NORTHWEST WOODBURY TOWN HOME! GREAT LOCATION! 3 BR 2 BA TOWN HOME NEAR LAKE COMO! OUTSTANDING VALUE! EDEN PRAIRIE TOWN HOME! GREAT LOCATION! 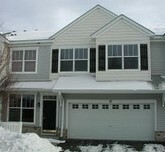 Great Chaska townhome! Available now! Hurrry, this will go fast! QUIET UPTOWN NEIGHBORHOOD CONDO! GARAGE INCLUDED! IDEAL END UNIT WOODBURY TOWN HOME! PERFECT LOCATION! WALK TO TRADER JOEâ€™S!! BEAUTIFUL SO MAPLEWOOD EXECUTIVE HOME! MINUTES TO 3M! BEAUTIFUL EXECUTIVE HOME JUST OFF LAKE GERVAIS! CONDO JUST SOUTH OF UPTOWN! GARAGE INCLUDED! 3 BEDROOM SOUTH MAPLEWOOD TOWN HOME! FORMER MODEL! REALLY NICE 2 BEDROOM 2.5 BATH STILLWATER TOWN HOME! GREAT LOCATION! SPACIOUS EXECUTIVE HOME IN A GREAT LOCATION! Spacious townhome in a great location! Beautiful retreat in the woods! Very Nice place to call home! Townhome gem in a great Chaska location! BAILEY'S ARBOR 3 BR 2.5 BA END UNIT! EAST RIDGE HIGH SCHOOL! BEAUTIFUL 1800 SF DUPLEX OFF MINNEHAHA CREEK! GARAGE INCLUDED! Great house with a spectacular lot! Tastefully remodeled home---FREE rent for 14 days!! GREAT VALUE! 3 BR OAKDALE HOME IN A GREAT LOCATION! Great home in a nice neighborhood--FREE rent for 14 days! Stunning, executive rental in West Bloomington---loaded! Spacious home in a great area! 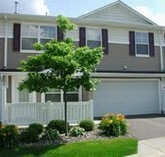 2 BR 2.5 BA INVER GROVE TOWN HOME! GREAT LOCATION! PERFECT LOCATION BETWEEN LK MTKA AND LAKE LANGDON!! Awesome neighborhood, stellar home, great location! Great walkout home n the country! Spacious home on a cul-de-sac, large lot, great deck! Spacious 5 bedroom on large lot! Free rent from now till the end of January ! 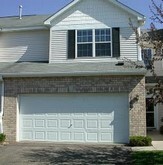 Great end unit townhome in Maple Grove! QUIET, CLEAN, AND UPDATED HOME IN NW SHOREVIEW! BACKS UP TO RICE CREEK TRAIL! Great single family home in Monticello! PERFECT WHITE BEAR LAKE END UNIT TOWN HOME! IDEAL LOCATION! Elegant, spacious two story with amazing views! EDINA CONDO! 2 BRs, 2 BAs! GREAT LOCATION! PERFECT SIZE! SECURE BUILDING! Available Jan. 15---EP townhome---great location! EXCEPTIONAL EXECUTIVE HOME JUST OFF LAKE GERVAIS! Nice 2 story in the country! Great home in the country! Nice Rambler in Plymouth on a 1/2 acre lot! 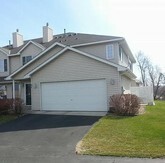 Great Chaska townhome in awesome neighborhood! 2 BR 2.5 BA IN BAILEY'S ARBOR! EAST RIDGE HIGH SCHOOL! Prime Eden Prairie home! Available now! Stunning, spacious 5bdrm with loads of extras! SECLUDED CUSTOM-BUILT WAYZATA EXECUTIVE HOME! BEAUTIFUL BAILEYâ€™S ARBOR TOWNHOME! AVAILABLE DECEMBER 1! FREE rent for 14 days--great home in a nice neighborhood! Free rent from now till January 31st! LIGHT-FILLED SOUTH MAPLEWOOD TOWN HOME! GREAT LOCATION! Great home close to the lake! GORGEOUS WALKOUT HOME IN CHASKA! Classic 3 bdrm bungalow full of charm! Great home with a beautiful back yard. One level living in Minnetonka! Large Rambler with Wayzata schools and exceptional lot! Very clean 2 bedroom, 2 bath townhome! End unit in a great area! Very well-maintained single family home in Chaska! Beautiful home with a large deck and an awesome yard! Gorgeous single family--move in ready! Updated home with a fenced in backyard! Gorgeous executive home on a beautiful lot! WALKOUT RAMBLER ON GILFILLAN LAKE IN NORTH OAKS! Hard to find condo on Lake Waconia! 1800 SF UPPER UNIT IN KINGSFIELD! GARAGE INCLUDED! 2600+ SF 3 BR 3 BA OAKDALE TOWN HOME! PERFECT LOCATION! Very clean townhome in great area! Fantastic Chaska location in a pretty setting! Available 9/1. Wonderful Mntka location! Gorgeous single family in Waconia! Available immediately! 4 BR ROSEVILLE HOME IN A GREAT, QUIET LOCATION! Executive home in the country! Awesome Townhome with all new flooring and appliances! STUNNING & UNIQUE! AFTON HOME ON 50 ACRES!